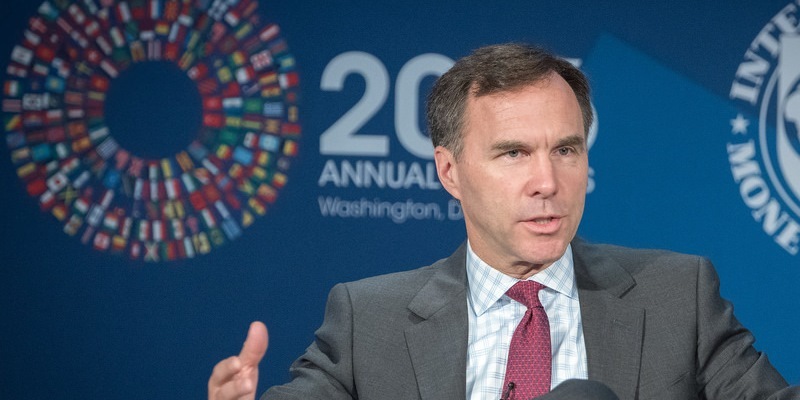 Federal Finance Minister Bill Morneau (pictured above) appeared this weekend on CTV’s Question Period to present the government’s case for its economic and fiscal policies, which were reflected in the fall economic update released last week. There are several statements and assertions from the minister’s interview worth considering in more detail, and some that need correction. First, the finance minister insisted that the federal government does not have a structural deficit. There are two types of deficits—structural and cyclical. The latter refers simply to the stage of the business cycle. If a country is in recession, revenues will naturally decline and certain types of spending will automatically increase, leading to a deficit. A structural deficit means that regardless of the business cycle, the government spends more than it’s currently able to collect in revenues—resulting in a deficit. The Canadian economy has been growing for the better part of a decade and yet the federal government expects the deficit in 2018-19 to reach $18.1 billion and grow next year to $19.6 billion. Indeed, the federal Department of Finance now projects the government will not balance the budget until 2045. Contrary to the Minister Morneau’s assertion, the federal government is operating in a structural deficit, meaning it will require more than the business cycle to balance the budget. Second, the minister used phrases such as “responsible” and “balanced” to describe the government’s fiscal policies. Even more surprising, he evoked the memory of former Prime Minister Jean Chretien and his long-serving finance minister, Paul Martin, to herald the state of Canada’s balance sheet. The policies of the Chretien era, which we have coined the Chretien Consensus, were based on balanced budgets (and ultimately surpluses) achieved largely through spending reductions, reduced debt and incentive-based tax relief. The Trudeau government has expressly rejected these policies and done the exact opposite, with increased spending financed by deficits (and thus higher debt) and higher tax rates on entrepreneurs, business owners and investors. Further, it’s difficult to see how it’s “reasonable” or “balanced” to have discretionary deficits of nearly $20 billion annually to fuel ever-increasing spending. The risk is that if Canada enters a recession or pronounced slowdown in economic growth, the deficit and the debt will explode like they have in the past. A recent analysis of previous recessions and slowdowns calculated that the federal deficit could easily surpass $40 billion annually if a recession occurs. This statement by the minister is encouraging because it recognizes the centrality of business investment to a prosperous economy. However, he then said the temporary measure included in the update only impacts new investment. In other words, if you’re a manufacturer in Ontario, for instance, considering adding a second shift, the reform announced in the budget will do nothing to improve Canada’s tax competitiveness. The temporary change only benefits businesses with new qualifying investments. The economic update and the interview with Minister Morneau ignore all the other reasons Canada’s competitiveness and attractiveness for investment and entrepreneurs has declined. There was lip-service paid to streamlining regulations but no immediate action, no recognition of the effect of higher personal income tax rates on entrepreneurs, business owners and investors, and no change in the government’s commitment to carbon-pricing despite a changing international and domestic policy environment. Fourth, the minister praised the state of the Canadian economy, relying again almost exclusively on the country’s low unemployment rate. However, as several economists have noted, there are a number of worrying and serious signs that the economy is not performing well including declining employment rates, collapsing business investment and weak private-sector job growth. Fifth and finally (and perhaps most oddly), the finance minister acknowledged the importance of getting Canada’s oil and gas to international markets through pipelines. He seemed oblivious, though, to the fact that his government cancelled the Northern Gateway pipeline and made the Energy East pipeline uneconomical in part through regulatory changes. Minister Morneau and the Trudeau government continue to downplay or outright ignore many of the most pressing economic issues facing the country. The economic update, and the speaking tour that’s followed, are only the latest examples of this attitude. What Canada needs is action but unfortunately last week’s economic update was yet another missed opportunity.